……even at those prices. For some time now I have endured, if that is the right word to describe it, a loose tooth ( a molar) caused by an infection in the gum. The dentist arranged an appointment on my behalf to attend the dental department in a hospital which is in a town some eight miles away. Evidently my own local hospital doesn’t offer the service. The appointment was made on-line and checking it out later I was informed that it would be sixteen to eighteen weeks of waiting. I thought at the time how ridiculous is that? If I had such a severe infection the waiting should have been less, however, in the meantime and in fact a week or so after the appointment was made, the infection disappeared and has remained that way until the time of writing this, Tuesday 10th. I use mouthwashes regularly and I think that is why the problem cleared. Unfortunately the tooth at the root of the problem became loose and remained so whilst the gum healed. The tooth had no anchor by now and was left dangling like the gong in a bell! I thought it would fall out all of its own accord but after several weeks of putting up with it I decided to call the dentist’s surgery to see if they could fit me in. They had an available slot twenty minutes after my call so I jumped at the chance and drove there. Under normal circumstances the journey is around ten to fifteen minutes but it took me the twenty due to road works and closed-off routes. Isn’t it always the way that obstacles always seem to hinder a journey when you are in a hurry? Aside from road closures I got behind a few drivers who couldn’t drive at the speed limit and others who dilly-dallied not knowing where they were going it seemed. I walked through the door of the surgery and ten minutes later I walked out less one tooth and £56! Now that I thought was ridiculous too…..a great wage for less than ten minutes work! I should have been a dentist. I was told not to eat or drink for three hours but in fact that was a bit tongue-in-cheek for as the dentist told me, the wound was slight and had in fact already healed. Nevertheless I took the advice and starved myself for a few hours. Each time I visit the dentist, which is every six months for check-ups, we have a laugh. The banter we have is relaxing though I never have fears in visiting the dentist as some folk might. The only thing I don’t like about visiting the dentist is the cost! It is ridiculous! Although I had taken a two-week sabbatical from my electrical work I did get a couple of jobs which I took on. It was now Wednesday, the day my advert would re-appear in the mid-week print of my local newspaper so I expected the calls to start coming in and I wasn’t let down. Wednesday was a cold, dry and sunny day, a day to be outside working in the garden but I had a dental appointment just before noon and had no intentions of doing any work either in the morning or at any time in the day. I was too tired, even a little too tired to be driving to the dentists surgery but I had to. 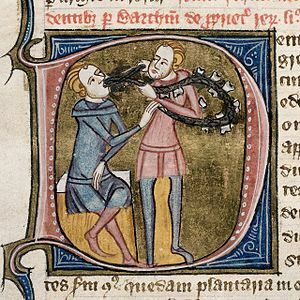 I was having some cosmetic work done and thought the dentist would have done it all on the one visit as he had said he would but he didn’t, I had to arrange another appointment on 24th of the month to have the rest done. I paid the price for the two sessions and left. It was now almost twelve-thirty and I decided to eat out. I wasn’t dressed for work, I was smartly dressed so took the opportunity to treat myself to a meal in pleasant surroundings for a change. I didn’t much fancy driving home and cooking a meal there anyway. To be honest I wasn’t feeling at my best, still tired and wanting simply to rest. I dined alone, something I hadn’t done for quite some time and perhaps I should do more often. At the moment E and I are not on speaking terms anyway so dining alone it would have to be anyhow. The problem I have is deciding where to dine for there are so many to choose from. I went to a place about two miles from home where E and I sometimes go for the food and service there are excellent. It isn’t expensive either. Whilst I was at the surgery I received a couple of requests for my electrical services and made arrangements to do the work later. I was happy to get the work for my disposable cash reserve was by now very low, especially after paying the dentist and dining out. I wanted to purchase some plants for the flowerbed I have been working on and needed the extra cash to do that. I never break into my savings to pay for my domestic projects though when I retire any work I might do and need cash for will have to come out of what’s left at the end of the month from my pensions. After my meal I drove home and rested for the rest of the day. I would be out at work the following morning. Hopefully I would be fully rested by then. There are things in life we have to bear occasionally because a solution is not always readily available at our fingertips. We live in a nine-till-five Monday to Friday working week by and large though many will and do work Saturdays and Sundays too. Most doctors’ surgeries are not open at the weekend but there are emergency treatment contingencies set up for those in need. Similarly most dental practices are closed for the weekend too, again, emergency treatment is available for those who are in need. Late on Friday afternoon, more like early evening to be truthful, I began to feel a tenderness on one of my front teeth, to be precise one of the lower incisors. Only when the tip was touched did I feel any pain, elsewhere was fine and no other teeth were affected. Typically I couldn’t receive routine treatment as it was so late in the day and even the week. I couldn’t telephone and make an appointment either for the practice would be closed. Messages on an answer phone just don’t work do they? It meant I would have to grin and bear it until Monday morning when I could arrange for treatment. If there is one pain that is most irritating and persistent it is toothache! Fortunately this particular time I have been very fortunate in that I am only aware of the problem if I accidentally touch the tip of the tooth. As you can imagine that is very difficult to avoid whilst eating. Biting into food becomes very difficult too especially as the incisors are used for this process. I have been forced to cut everything down to a smaller size in order to avoid that problem. 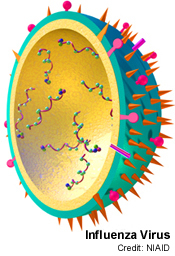 Thankfully the pain has been limited on this occasion for in the past I have had to endure the constant pain that comes with most of the instances of toothache I have experienced. Painkillers really have no effect either so it is pretty much a waste of time taking them I feel and in any case I try not to take medications of any kind unless they are absolutely necessary. By the time you are reading this I should hopefully have seen the dentist or am about to do so. What a pain. My son broke his tooth — now what? to a trapped nerve. Things have improved but I didn’t wish to face the prospect of driving myself and having to walk the fair distance I would have needed to do had I taken my own vehicle. Parking outside the surgery is at a premium and is often difficult to find a vacant space. She kindly dropped me off and parked somewhere whilst waiting for my phone call thirty minutes later. I had just stepped out of the surgery to make that call and found E standing there! She explained that the battery in her car had drained flat and she couldn’t start the engine. We walked slowly to the parking lot and she approached another driver who kindly offered his services to get two stranded females mobile again. 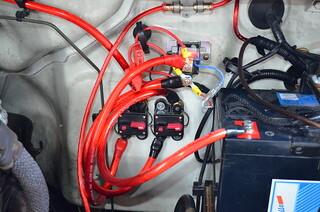 We only required the use of his battery using the ‘jump leads’ E fortunately keeps in her car. A couple of minutes later and her engine burst into life. We thanked the kind gentleman who had been only too pleased to assist us. E drove me to the electrical supplier so I could purchase a switch I needed for a job on Wednesday then we drove around for a while in order to get the battery recharged. I advised her to drive to the garage she uses for maintaining her car just to check that the battery was holding the charge. So we drove there and had it checked. All was fine. We got back home by 11 and later decided to drive to our favourite eatery and dined out for the afternoon. I had an appointment to see the dentist on Tuesday morning to undergo the first of two procedures, the next being on the 3rd December. I have never minded going to the dentist in the least and the only part of the treatment I dislike is no, not the drill but the suction tube they put in your mouth to take away the liquid the dentist uses in conjunction with the drill, which I believe is water. The vacuum tube takes away the water and debris but I find the assistant never always places the tube where it is most needed. A small gripe considering the work being done in my mouth. I can live with it. I have never had any complaints with any of the dentists I have had and with this new practice it looks as if that isn’t going to change. The waiting room is far better than at my last dental surgery in Liverpool and also more comfortable. As the surgery is positioned at the cross-roads of a busy junction and is at ground level there is always something to look at whilst waiting for surgery. They have magazines just like every other professional’s waiting room but I don’t read them. They are almost always way out of date and I feel that if I were to lose myself in reading an article or a story I would be interrupted before I could finish reading it. I don’t like reading fiction and I am not really a fan of magazines. I would much prefer to chat with those sitting around me but most of them are usually reading magazines! My first appointment was exactly on time, which has never been my experience before and although I appreciate that appointment times are only approximate I hope that this will be the norm rather than the exception. I left the surgery very satisfied with my treatment and hope my next session will be just the same. I had a dental appointment with my new dentist on Wednesday. In former years my dental practitioners were in Liverpool, some 21 miles from my home. A couple of weeks ago I had a filling come out and it needed replacing so I set about finding a dental surgery nearer to home with whom I could register. I found one located about three miles from home and was able to register with them. My first appointment was on Wednesday but other than having an assessment I had no treatment. The dentist will carry out some remedial work on my next two appointments which will be 19 November and 3 December and I was advised the cost would be £214. My registry fee had been £18 but that amount will be deducted from the £214. I shudder to think what the cost would be if I were a private patient. 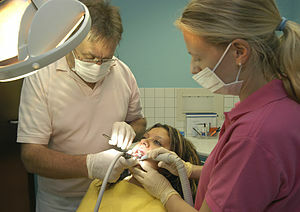 As it is my dentistry is covered by the NHS (National Health Service). After my first brief check-up I returned to the reception to confirm my next appointments and the young woman at the desk remarked ‘He’s dishy isn’t he’? I had to agree, he was! 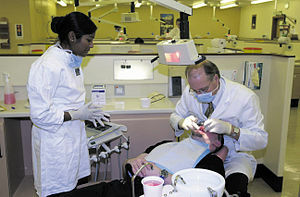 The practice supports five dental surgeons, four male and one female. I guess I drew the longest straw! When I left I had to visit an old lady who wanted me to check out a small electrical problem and make an assessment of another. The first problem I sorted out in ten minutes but I had to inform the old lady that the second request would not be a simple nor inexpensive job to carry out and might not indeed be possible given the nature of the present installation. I don’t think she will pursue with her request. From there I went to look at another job to assess what was required. I did that work yesterday, Friday. I should have done more work in our new wet room but deferred that work until today, Saturday. Instead I decided to replace one of the floodlights at the front of our house which had become faulty. I replaced five of the same at the rear of the house earlier in the year but decided to only replace the three at the front as they became faulty. One of the two remaining floodlights has been working for about 24 years and the other is relatively new having been installed about eighteen months ago. I might buy replacement units and keep them to one side for installation when it becomes necessary. These floodlights cost £45 each because they are LED units but they are guaranteed for three years and are far cheaper in cost to run. They use a mere 15 watts of power but give the equivalent light output of a 300 watt halogen lamp! That’s what I call progress. There are many ailments that we can suffer but none in my estimation compares to toothache. Two weeks ago, well to be precise a couple of days before I began to suffer from a toothache therefore two weeks ago today I had the offending tooth removed. It had been filled at one point many years ago but had now deteriorated and had also started to crumble thereby exposing the nerve. Ouch! At the same time my dentist prepared an adjacent tooth for capping and it was a week ago today she capped that tooth and did some other minor work elsewhere in my mouth. The following evening, Tuesday, I began to suffer ‘toothache’ pains but they ceased after a short while. However the following evening the pain returned and kept me awake throughout the whole night. In the morning the pain disappeared and although I had gotten no sleep I managed to do some shopping but by late morning the pain had returned with a vengeance. I telephoned the dental surgery who slotted me in an hour or so later. My dentist tested my teeth for sensitivity but got no response from any of them. She and I agreed that it might be an infection so she prescribed an anti-biotic to be taken over the next three days or so. I took my last pill this morning. I still get pains every so often though and now I am thinking that somehow there is a break in the gum allowing the exposure of a nerve ending because liquids are sometimes triggering the reaction. I have suffered many kinds of pain during my lifetime but nothing compares to toothache. I may have to make another appointment with the surgery if things do not improve. I had very little or nothing to do last week except keeping medical appointments and visiting the pub once. A very mundane week indeed. Today I have a dental appointment in the morning and an appointment with the nurse in the evening. I am having a tooth capped and later having a ‘flu jab. Last Monday I had almost the same treatment, dental work and pneumonia jab. I wonder what is in store for next Monday? I found that I have been a lot more active on the treadmill though, a promise I made to myself after neglecting the machine and getting little exercise over the last couple of weeks. No work meant no pay of course but I am not worried about that, it’s more the boredom. I found I was playing my guitar more often too even though I usually tinker about on it for an hour or so every day anyway and I managed to pen two more songs. Not that I try to write songs, they just come into my head, a talent, no a gift that I didn’t imagine I would ever get. So last week wasn’t all a waste of time. It was last week that I sadly learned about someones death, a fellow (wrong word) blogger and Tgirl. Although I didn’t know her on a personal level it is still a bit upsetting to her of her demise. In some respects I welcome death especially if someone is suffering with an incurable illness as she was but as a Christian I think she is in a better place now anyway. Nevertheless, life is a precious gift from God and must be respected by living it in the right way. So I am kind of hoping that this week will be filled with good things, less boring things and more productive things too. I will only get to know at the end of it though won’t I?